Early language and literacy development begins in the first 3 years of life and is closely linked to a child's earliest experiences with books and stories. Make sharing books part of every day with the help of Baby Einstein. Enjoy this free discovery kit with bright and interactive fun for your baby! 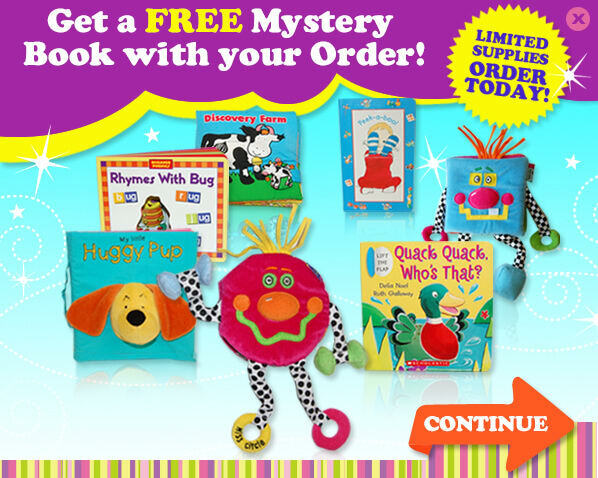 3 Wipe-clean sturdy board books with bright imagery and lift-o-flap! With your Discovery Kit, you'll be enrolled in our monthly subscription service. © 2019 The Baby Einstein Company, LLC. All rights reserved. Baby Einstein is a trademark of The Baby Einstein Company, LLC. 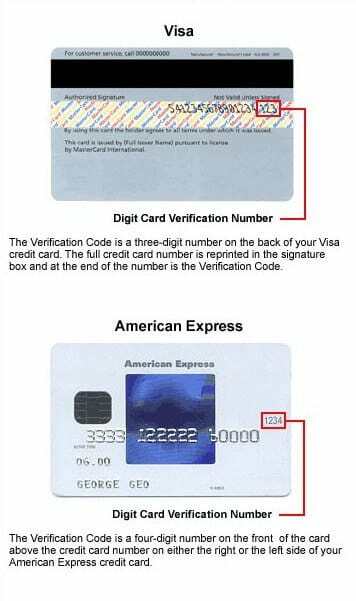 When you set up an account on our Web site or purchase an item from our Web site, we collect personal information provided by you that may include your: (i) first and last name; (ii) billing address; (iii) shipping address; (iv) other shipping addresses; (v) e-mail address; (vi) phone number; (vii) credit card account number; (viii) items purchased from us; and (ix) browsing, buying and selling patterns. We use this personal information in order to provide you with the goods and services that you purchase on our Web site. We use your e-mail address or mailing address to provide you with information about your order and its status and we may occasionally send out e-mails and mail to people who have placed an order online, with information about other goods and services available on our Web site or from partner companies. The phone number you provide may be used by our autodialer in the event that we need to contact you about your membership or to make you aware of offers for new products or services from us or our partners that we believe will be of interest to you. Customers may occasionally receive information on products, services, special deals, and e-newsletters. Each user has the option to not receive these types of communications. Occasionally, it is necessary to send out service-related announcements. For instance, if our service is temporarily suspended for maintenance, we might send you an e-mail informing you of such service interruption. Generally, users may not opt-out of receiving these service-related communications. In addition, we communicate with our users on a regular basis to provide requested services and regarding issues relating to their account via e-mail. Users who no longer wish to receive any marketing or promotional materials from us or our partners may opt-out of receiving these communications by replying to any such promotional e-mail indicating your desire to no longer receive such e-mails, or by contacting Customer Care at 1-800-353-3140. Billing address zip code where the credit card statement is delivered. It's easy to share the gift of reading with your child. We make it easy and affordable to fill your home with wonderful and educational children's books each month. Join the Baby Einstein Playful Discoveries book club today and we'll send you a Welcome Package with 3 board books, 1 plush book, a set of discovery cards with ring, and a parent guide all for FREE just pay CA$6.99 Shipping including HST tax. Plus... get an extra money-saving bonus. Save even more when you accept our Extra Bonus Offer. You'll get the Baby Einstein First Words Jumbo Board Book - a CA$14.95 value - as an extra bonus for only CA$9.99 including HST tax – that's 50% OFF our everyday low price – and there is no additional shipping and handling charge! Encourage a lifelong love of reading. Each month you and your child will benefit from receiving Baby Einstein Playful Discoveries set that includes 3 books and a discovery card set to review and enjoy. If you decide to keep them, they are yours for just CA$19 plus CA$6.99 shipping and handling by Canada Post, all HST tax is included. We will select the Baby Einstein Playful Discoveries books in each package from those listed here. Our available titles may be updated from time to time. Your complete satisfaction is guaranteed. If for any reason these books don't tickle your little one's funny bone, simply return them to us at your expense with a note marked "cancel," and we'll gladly refund the purchase price...no questions asked. Nothing more will be sent, and any free items you received as part of your Welcome Package are truly yours to keep with our thanks for giving the club a try. Your exclusive membership benefits allow you to return any book package that does not delight you within 30 days of its original ship date. Use our simple instructions within the shipment to return the package at your expense, and we'll refund the purchase price, less shipping and handling. You always have the right to cancel your membership, for any reason, and keep all of the books that you’ve purchased—including those in the Welcome Package. There is no purchase commitment. Exclusive FREE preview program. As a member of the Baby Einstein Playful Discoveries book club, once you have purchased two club shipments, you will also be automatically enrolled in our separate Free Preview Program to receive, subject to availability, up to four times a year, Baby Einstein/Disney products to complement your club. We will always notify you by email before we send anything. That email will contain a detailed product description, offer details, price (between CA $23.00 and CA $27.00 including HST plus CA $6.99 shipping and handling for delivery by Canada Post), and clear instructions for how to reply. Simply tell us within 10 days by phone, mail, email or by visiting your MyPage at www.EarlyMoments.com if you choose not to receive the package announced, or do nothing and it will be sent. As always, your satisfaction is guaranteed and if you do not wish to keep any preview package you receive, you may return it within 30 days of its original shipment date at our expense. You may cancel your Free Preview membership at any time by calling the toll-free number we provide, or by sending us a letter or email at CustomerCare@EarlyMoments.com. Club and Free Preview accounts must be canceled separately. This can be done by calling us toll free at (800) 675-6995 or by emailing us at CustomerCare@EarlyMoments.com. We will promptly confirm all cancellations by email and let you know if any packages were shipped prior to the receipt of your cancellation instructions. For your convenience, please note that the Welcome Package, all future club shipments and Free Preview Program shipments will be delivered to the shipping address you provided at sign-up, and the purchase price (including HST) and shipping charges will be charged to the credit card you provided at sign-up. Please pay on time. A late charge of CA$2.49 per notice will be added to overdue payments to help cover the cost of sending recurring bills. Overpayments on cancelled accounts are subject to a CA$2 per month fee. Future contact may include e-mail if your account is overdue. By clicking in the acceptance box provided, you enter into a contract with Sandviks, Inc. on the terms and conditions set out above. Sandviks, Inc., 83 Wooster Heights Road, Danbury, CT 06810, Phone: (203) 205-0188, Email President@Sandviks.com. If you find any errors in these terms and conditions you may arrange for us to correct them before accepting them by sending us an email.